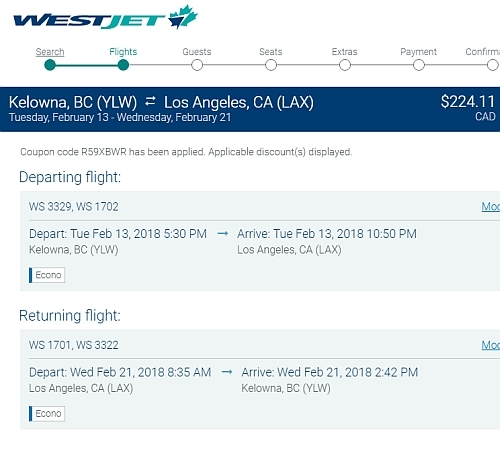 WestJet has dropped the price of their flights from Kelowna to Los Angeles, California down to $239 CAD roundtrip including taxes. 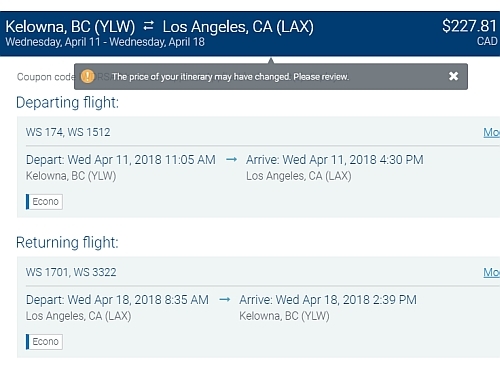 This is about 32% cheaper than the typical best roundtrip prices from Kelowna to Los Angeles. The flights have 1 stop each way, in Edmonton or Vancouver. Look for the dates that are $251 roundtrip. 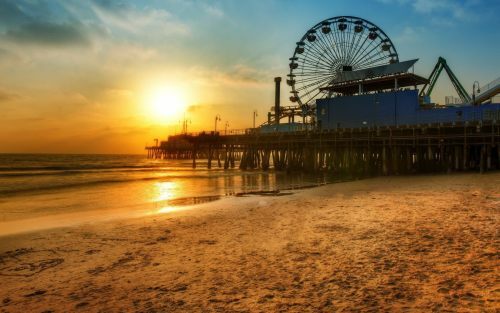 Update 12/27: Flights from Kelowna to Los Angeles, California can currently be booked for $224 CAD roundtrip including taxes, using a 15% off WestJet promo code. Look for the dates that are $245 roundtrip. 2. Go to the WestJet promo code page and scroll down a bit. kelowna, YLW, westjet, flight deals, los angeles, lax, california, united states or north america.